You need to move out but there is a big mess in your leased property? Save your efforts and book our excellent and at the same time affordable end of tenancy cleaning services. 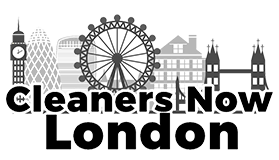 We are close to you in Manor Park and you can rest assured that our qualified cleaners will be in front of your door exactly when you need them. You can trust us because we know how important it is for you to keep the deposit and we won’t let you down. Hundreds of tenants have already used our end of tenancy cleaning and we have never failed to deliver the desired level of cleanliness. Work with us and you also will experience a worry-free moving out. Your company did a phenomenal job and I certainly do not mind conforming your perfect end of tenancy cleaning service. If any of you is looking for a professional end of tenancy cleaning service to help you with the final cleaning, request this one! I am a huge fan of it! As our main priority is to deliver a reliable cleaning solution to people, we employ only experienced and hard working cleaning experts. For your piece of mind, all of them have passed special training and use only professional cleaning equipment. They will search for dirt in every corner of your leased property make sure it is perfectly clean for the inventory inspection. Leave the post-tenancy cleaning in areas like Shadwell, Whitechapel and Stratford to us and spend your time doing more important things. Our dedicated cleaners will work hard and help you return the property to your landlord in excellent condition. Our services are suitable for every taste. It doesn’t matter if you are a tenant, who wants to keep their deposit or a landlord, who needs move in cleaning services, we guarantee that you will be extremely satisfied with the final result. Our cleaners are competent enough to clean deeply every property. Choose our company and surprise your landlord with an exceptional level of cleanliness. Our guaranteed end of tenancy cleaning services are available in the whole Manor Park and the price that you will pay for them is more than fair. Give us a call and we will tell you more about the conditions of the guarantee. This district of east London is famous for its spectacular green spaces and it is a home to a countless number of people from Asia and Eastern Europe. The affordable housing and active community in Manor Park attract buyers all over the capital. 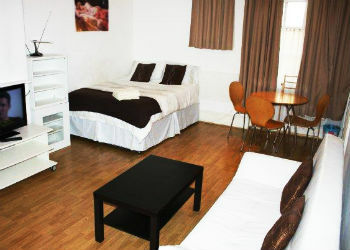 In addition to that, it is situated approximately close to Wanstead Flats and Stratford. The place impresses also with its architecture. It contains a lot of ancient buildings, beautiful parks and marvellous Victorian houses. There are many community centres here which offer all kind of services to the locals. Among the former notable residents of Manor Park are the actor Stanley Holloway and the musician Steve Marriott. In 1904 here was born the Oscar-winning actress Greer Garson. Manor Park’s Itchycoo Park became popular after it was mentioned in one of the songs of the English rock band “Small Faces”. There is a wide selection of elegant restaurants and cosy pubs in the area as well.